Countries that produce the world's crude are getting crushed by low prices. Huge budget surpluses are turning into deficits, and generous social programs are being replaced with austerity and cuts. Oil has collapsed below $37 a barrel, compared to over $100 in mid-2014. The global oil glut, OPEC's determination to pump like there is no tomorrow, and slowing demand from China and other countries are pushing oil prices to new lows. Here are the five countries hit the worst. 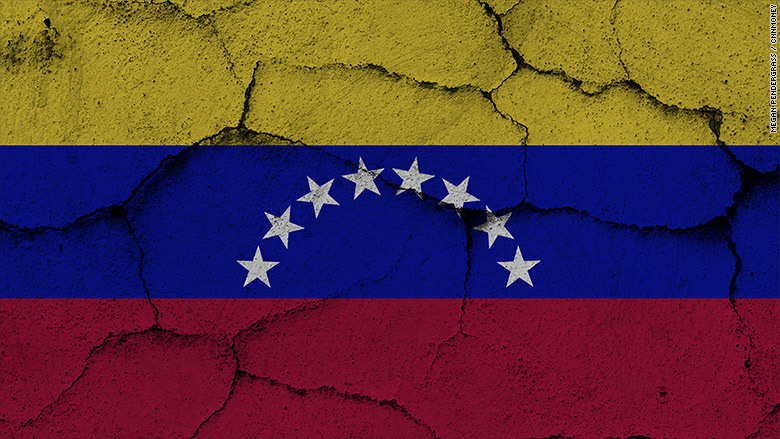 Venezuela has the world's largest oil reserves. Its government has for years used the money it makes producing oil to pay for pensions, health care, social benefits and even to subsidize housing and grocery stores. But now, the economy is on the brink of collapse. Inflation soared over 150% in 2015 and is expected to rise over 200% next year. The government is unable to pay its bills, and food and basic supplies are in short supply. The economic downturn has led to political turmoil. Earlier this month, the country's opposition won a majority in an election for the first time in 17 years. Oil accounts for 75% of Saudi Arabia's revenue and the country's finances are getting slammed. The government ran a nearly $100 billion budget deficit in 2015 and announced tough austerity measures for next year. "That's a reminder that even the world's lowest-cost oil producer relies on high(er) prices to balance its budget and current prices don't come anywhere close," Kit Juckes, global strategist at Societe Generale, said. Africa's biggest oil producer is in trouble. Oil accounts for roughly 75% of Nigeria's government revenue, and almost 90% of the country's exports. 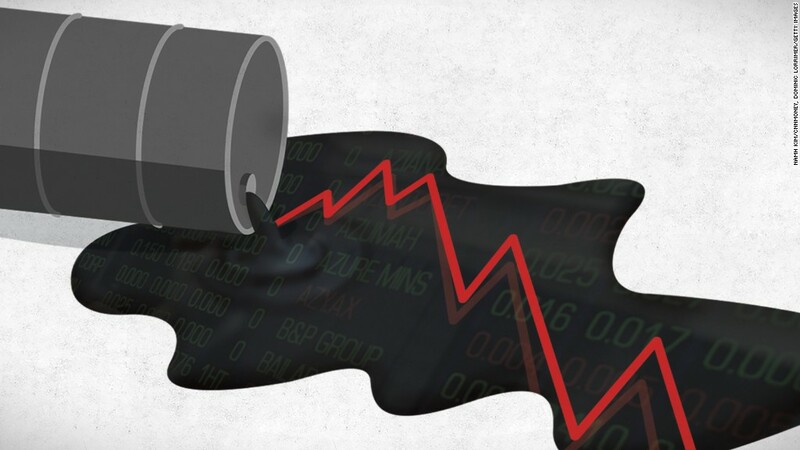 The plunge in oil prices has left the government unable to pay its bills. Local media reported that in some regions, state employees haven't received salaries in months. The country is suffering from power cuts and fuel shortages. Nearly half of Russia's government revenue comes from oil and gas exports. The plunge in oil prices came when Russia was already suffering because of Western economic sanctions, imposed on Moscow over its involvement in the crisis in Ukraine. 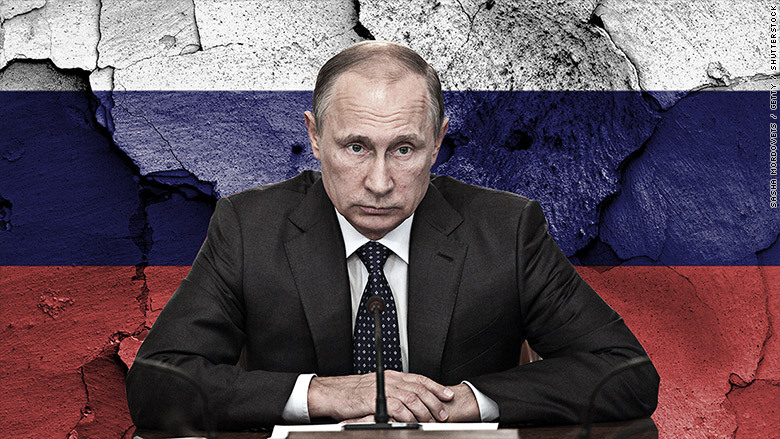 Russia's budget is based on an oil price of $50 per barrel, but oil is trading around $37. The International Monetary Fund expects Russian GDP will shrink by 3.8% this year and by another 0.6% in 2016. Low oil prices are crushing Iraq's finances when the country desperately needs income to fund its war against ISIS. Iraq has been pumping record amounts of oil this year, but the increase in production hasn't compensated for the drop in prices. The country has huge oil reserves, but needs more investment in infrastructure to access it. -- Alanna Petroff and Matt Egan contributed to this article.